Gone are the days when we endure drab and uninspiring minimalist web pages. Companies, bloggers – and everyone in between – are embracing a return to the print design of yesteryear to make their pages stand out in an overcrowded world. They are trending towards olde world advertisements, traditional magazine layouts and brochures, with a modern digital twist. 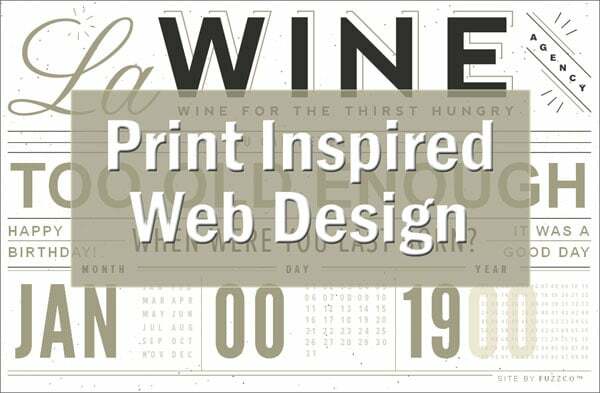 Take a look at our 20 favourite examples of print inspired web design. 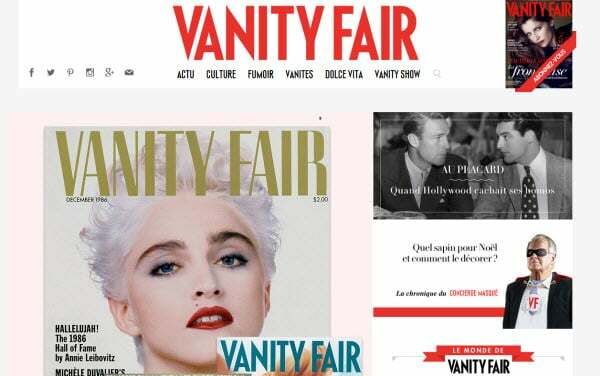 Unsurprisingly, for such a well established and well loved glossy magazine, the Vanity Fair website (French version) stays true to its print style on the website. The typography, the layout is a literal digital version of the print edition. 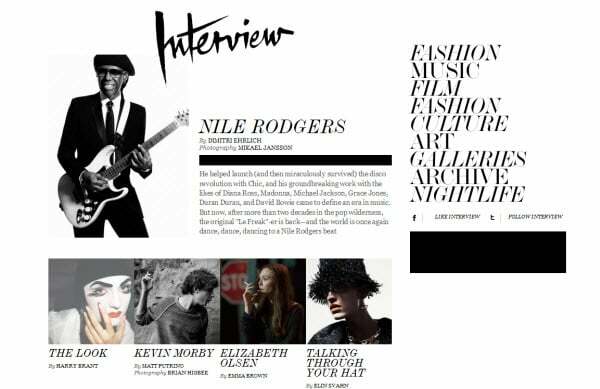 Interview is a more modern offering, whose style reflects its content. Monochromatic, edgy and straight to the point, it uses a traditional column layout. It tempts us with pictures of subjects, bold fonts and easily navigable topics. A visually scrummy website from La Monda, which hosts a collective of the weird and wonderful. It accepts contributions from all sorts of creatives. This shows in their interactive style that reads like a print magazine. 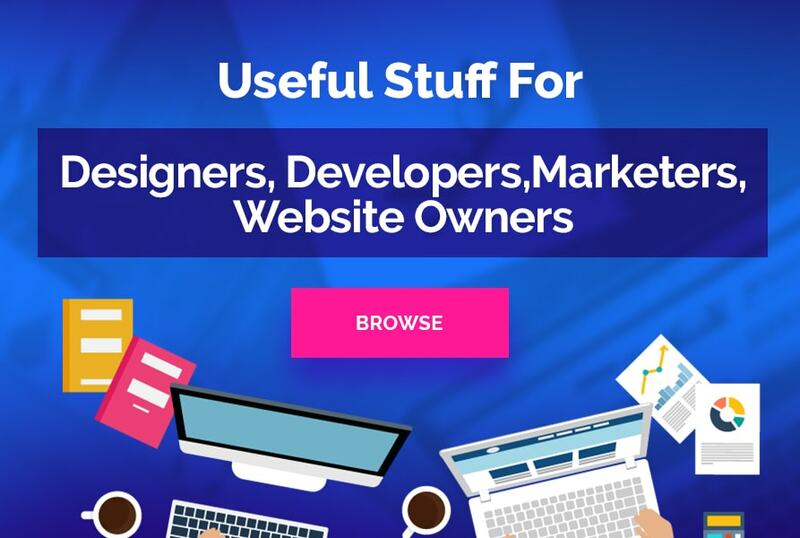 A grid layout, easily accessible articles and visible content list contribute to a really dynamic website, despite its implied simplicity. The typography lends itself well to a serious magazine. 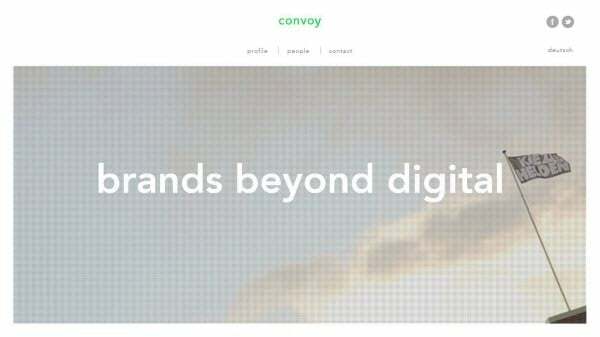 Canvas has a Pinterest style tile format that suits a fashion website. The greyscale background adds a neutral backdrop to the clothing on show. It’s an uncomplicated website that allows you to drill straight down to the content. This online fashion magazine utilises the design of old print magazines and mixes in some great typography and a range of image frames to make the content stand out. It reads like a visual editorial. 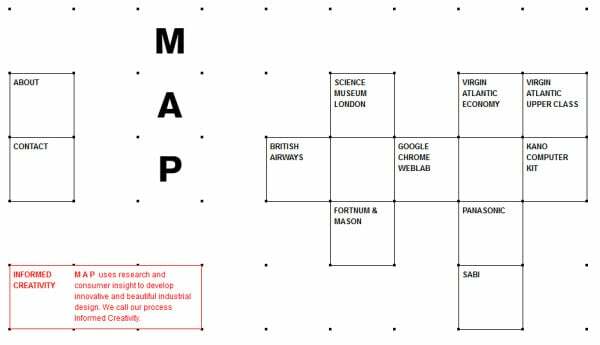 Looking like it has been printed out on graph paper, this creative consultancy’s website really showcases their ‘blue-sky’ thinking. It is so effective and draws you in to explore more and see what will happen next. 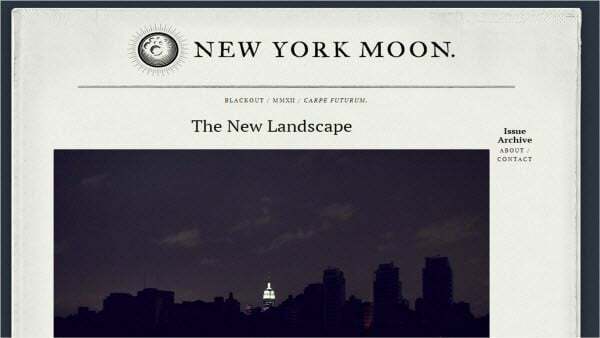 The Moon is a New York based website concentrating on all things lunar. The site looks like it is on facsimile or copier paper and written on a typewriter. It’s like reading a vintage ‘alternative’ newspaper. With the typewriter font and the clever column layout, The Berlage website cleverly takes what is a wealth of information and presents it in an easily digestible newspaper format. 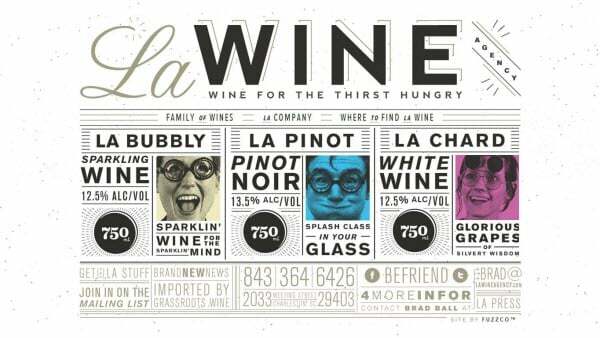 This wine agency has used an old vintage newspaper layout to draw attention to its various offerings in its line of wines. Such a simple opening page to a website. What you won’t see from the image is that the flag waves. Other than that, the website is static, inviting you in. It’s like a huge roadside billboard. 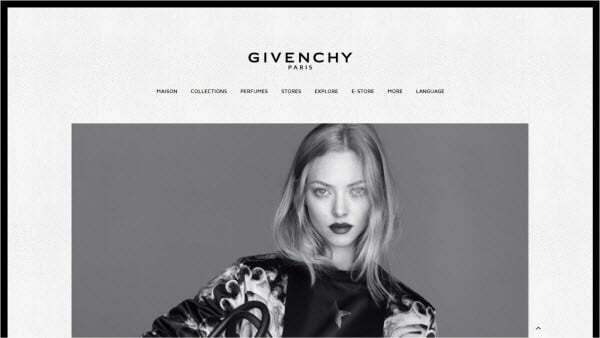 Big greyscale images, the brand logo and the textured background of this fashion-house website point towards it being a glossy magazine advert. Which, in a way, it is. The website resembles the pages of a vintage book with its column layout around what resembles a centre fold. Its light, greyscale look presents the art it is displaying on a neutral background. 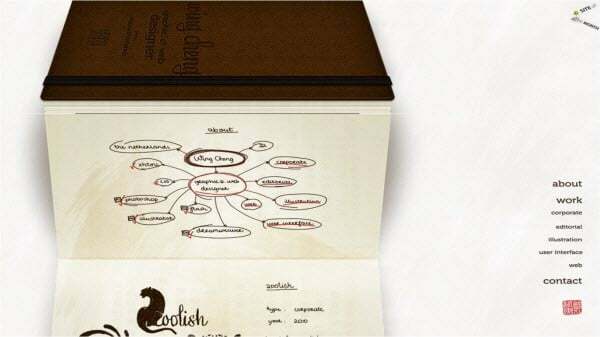 Graphic designer Wing Chen uses a fold out book design to showcase case studies and portfolio in a really original and quirky way. It looks really realistic too! 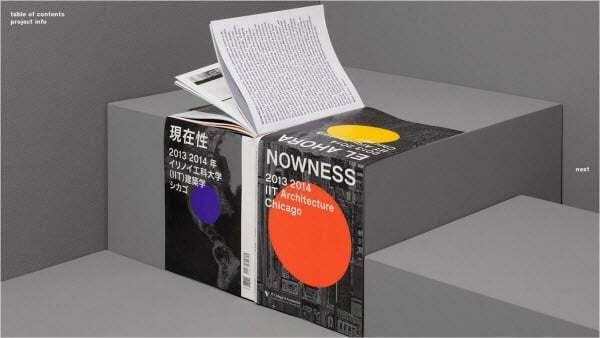 This websites starts with a book on a plinth (like an exhibition) and as you delve further into its contents, the book turns into various catalogues, leaflets and other print inspired displays of work. 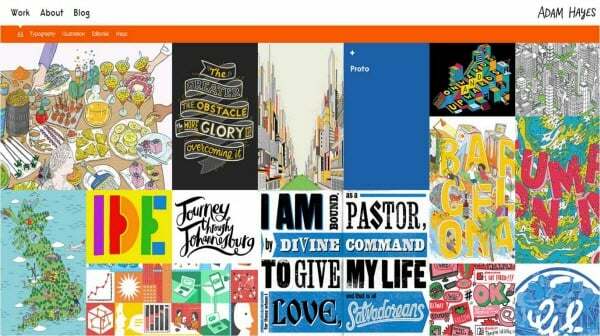 Who couldn’t love illustrator Adam Hayes’ website? This is a master class in showcasing examples of work in an engaging and inviting way. It is similar to a collage of print materials. 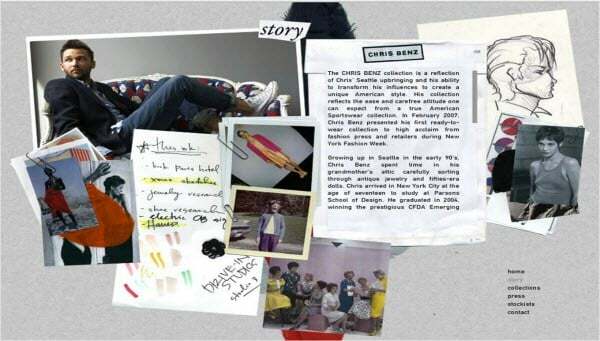 Chris’ website combines collage, books, photo booth pictures, scrapbooking and texture in a huge mishmash of print techniques to achieve a truly memorable website design. 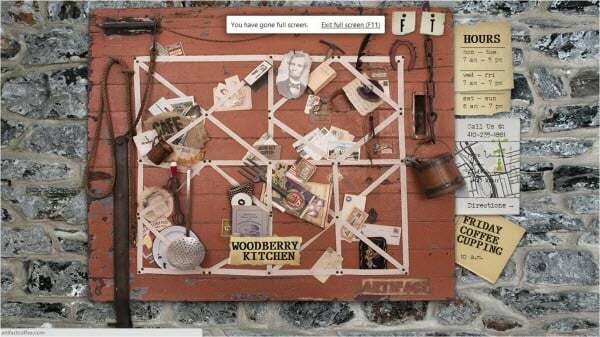 This noticeboard is alive with content and old print/paper imagery. The rest of the website relies heavily on old typewriter fonts and ink splotched parchment as well as postcards and old newspaper cut outs. 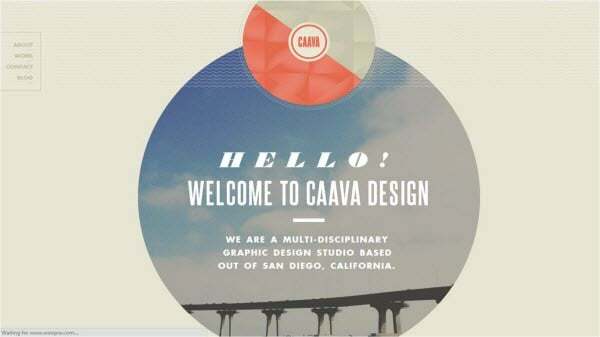 The Caava graphic design website looks like it was inspired by an old LP, with suitably vintage typography and circular designs. 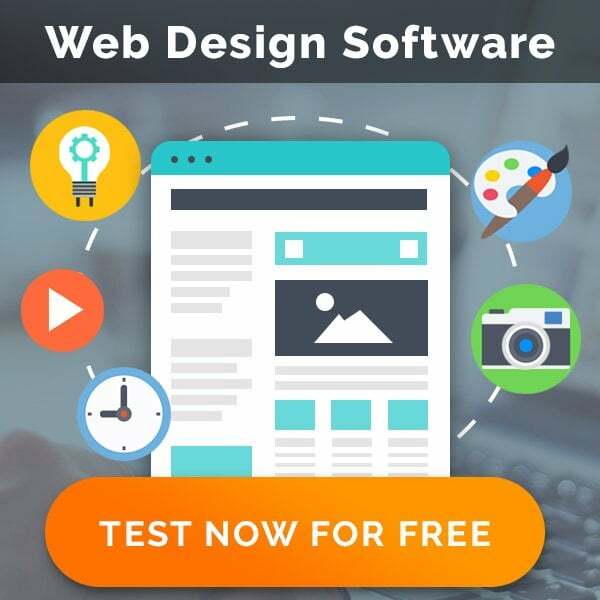 This then transitions into a whole array of different design types. The landing page is the best bit though. 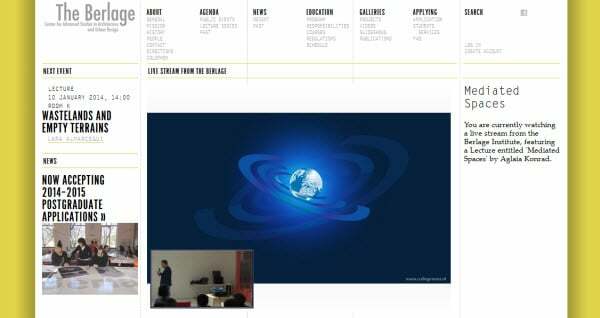 The magazine’s website features a video of issues, which flicks through content to give a taster of what is in that edition. Oliver is a design graduate, who’s turned his passion to writing about all things design. He’s currently scribing for PrinterInks.com where he covers everything from design and branding, to computing.